QuickBooks is where your business happens. So it's important that it stays secure, runs on the latest OS, and helps you be at your most productive--QuickBooks Desktop for Mac 2019 does just that. 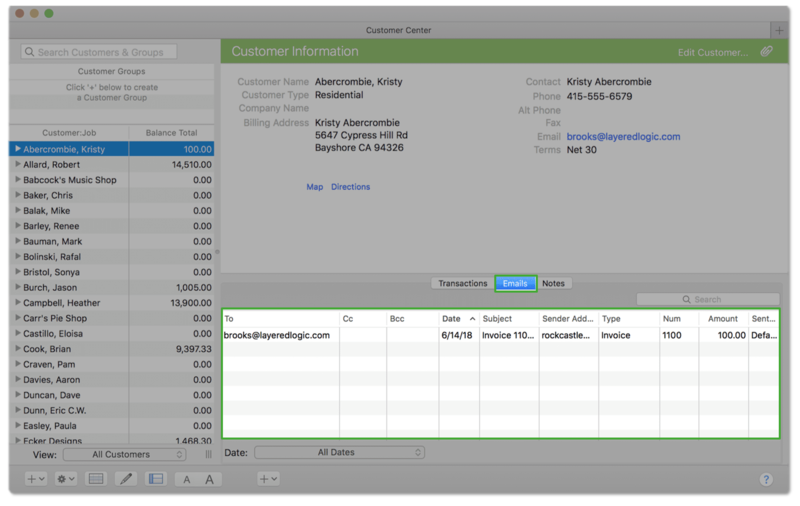 Here's a quick rundown of what's new, and what's changed, in the latest QuickBooks for Mac. QuickBooks Desktop for Mac 2019 is compatible with macOS 10.14 (Mojave) from Apple. Mojave’s additional layers of security now require you to set up a password, using the existing password functionality, on your QuickBooks company file. Know more about the system requirements for QuickBooks Desktop for Mac 2019. Need to work with your QuickBooks on a different Mac? You can now access your QuickBooks file from multiple Mac computers synced to iCloud. iCloud Document Sharing is an existing functionality in macOS. It works by syncing a folder to iCloud Drive. Then, a user with a link to the folder or file in iCloud can access, download and/or collaboratively work on those shared files. Learn the do's and don'ts of sharing your QuickBooks file through iCloud. Get paid faster when the "Past Due" stamp is on an invoice. The stamp shows on print and email. This serves as your automatic reminder of what invoices are due, so you know when it's time to follow up on an invoice payment. Learn how to show "Past Due" stamp on invoices. Seeing an incorrect beginning balance when reconciling? QuickBooks for Mac 2019 now has a Reconciliation Discrepancy Report. It shows you transactions that were uncleared, modified, deleted, or voided to help you get your reconciliation back to balance. Learn how to use this report and others to find reconciliation discrepancies. Note: Reconciled transactions that were uncleared, modified, deleted, or voided in a previous QuickBooks for Mac version will not appear on the Reconciliation Discrepancy report. Using Square for processing credit card sales? We know how demanding it can be to manually enter your sales data. The newest QuickBooks for Mac lets you import credit card sales as a CSV file from Square--no more entering transactions manually. 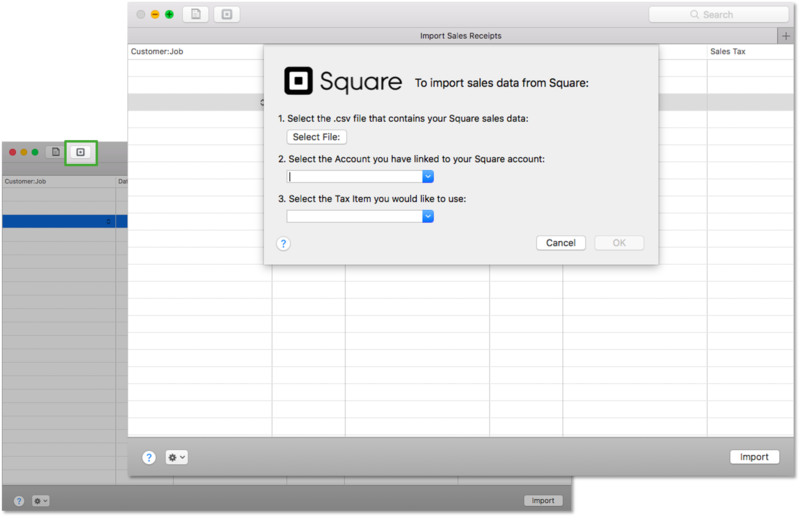 To import from Square, go to File > Import > Transactions > Sales Receipts. Then, select the Square icon on the top left. As your business grows, so does the pile of emails to vendors and customers. In QuickBooks for Mac 2019, Customer and Vendor Centers include an Email tab, so your emails stay organized in one place. You can filter by date, or use the search tool to find your important emails.